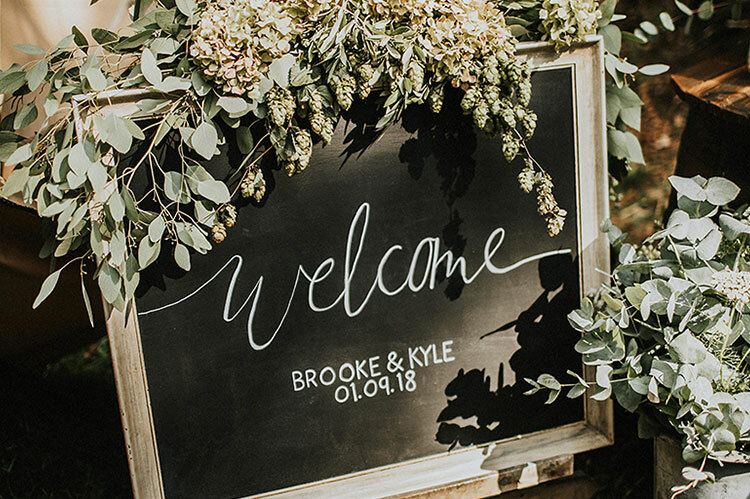 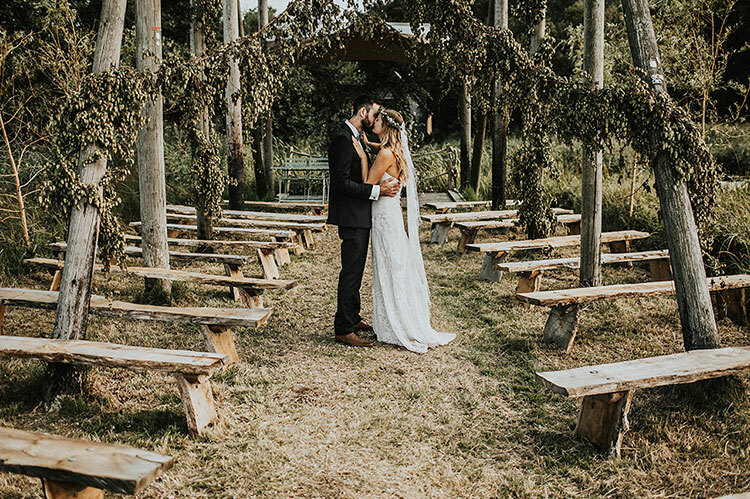 Brooke and her husband Kyle married at The Wilderness on the 1st September 2018. 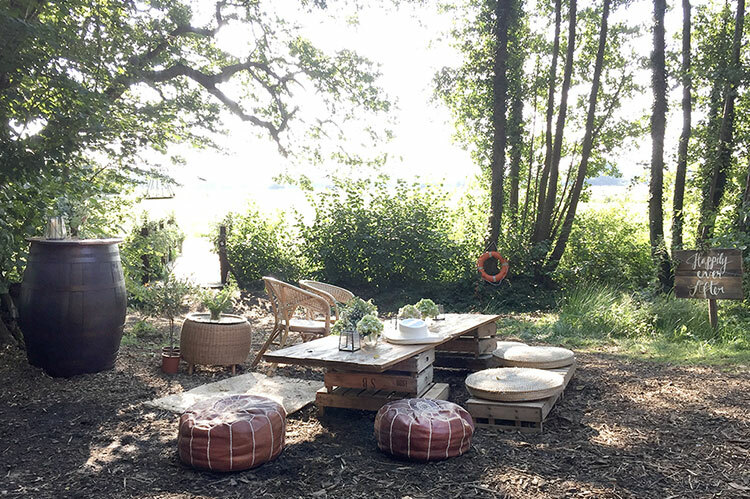 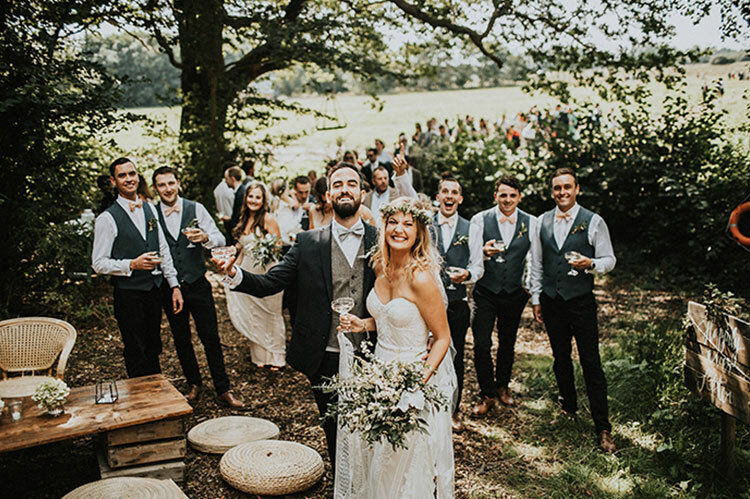 They said their vows under the magnificent Boat -Zebo on Wilderness Lake, surrounded by their friends and family, Kentish hops and the gorgeous smell of fresh lavender and rosemary, cabbage white butterflies and wildflowers – fully immersed in nature. 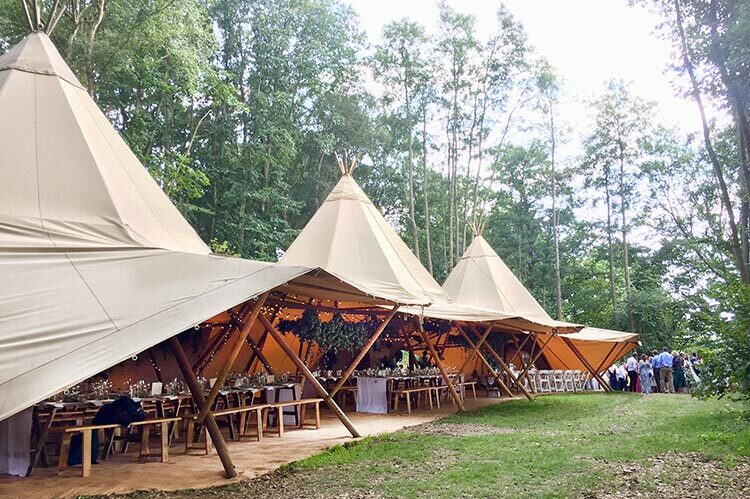 A gentle procession followed across the water meadow and back to the Woodland glade for the afternoon celebrations. 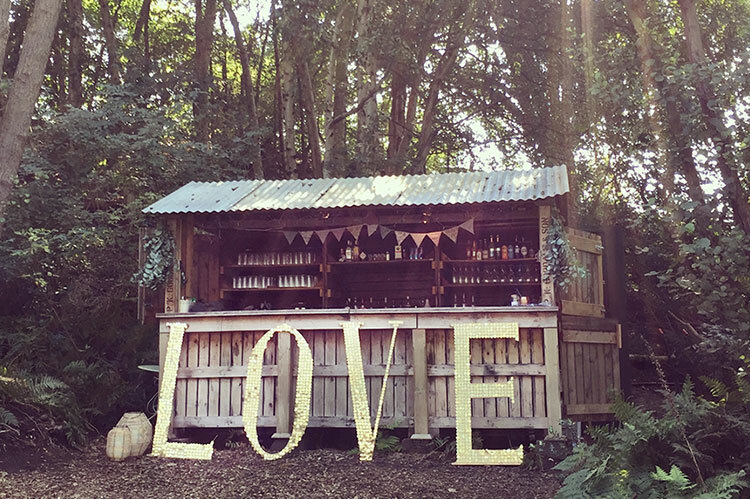 Champagne was then served in the woodland glade in vintage coupe glasses and canapes were served by Tayberry’s team of professional waiters. 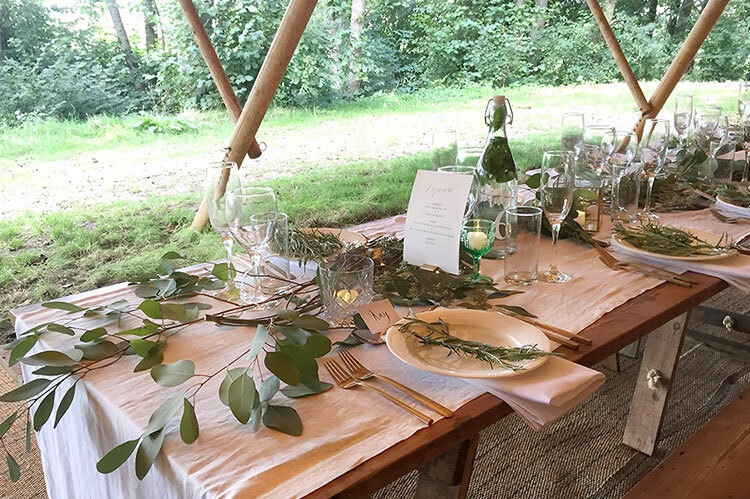 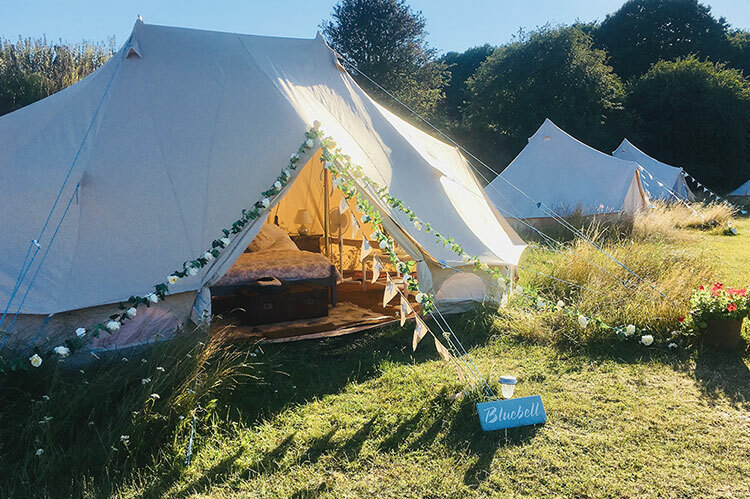 The three large interlocking Kata tipis were beautifully decorated in eucalyptus, wild foliage, delicate silver and antique glass crockery & cutlery, with white linens contrasting against the rustic wooden trestle tables. 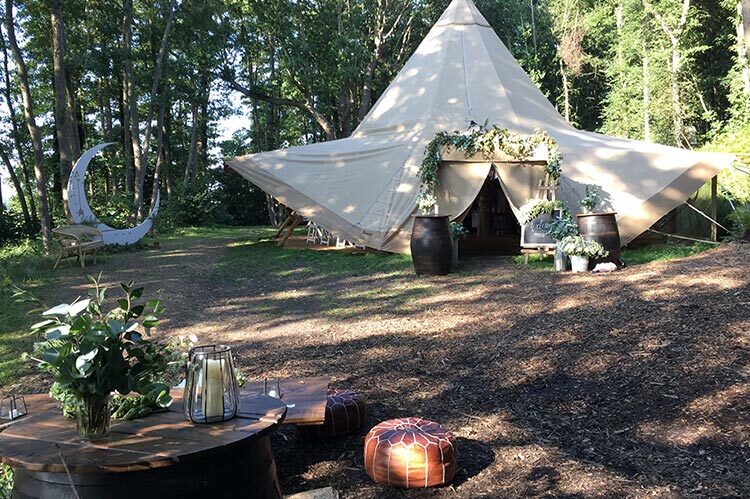 A feast followed and wine flowed into the evening. 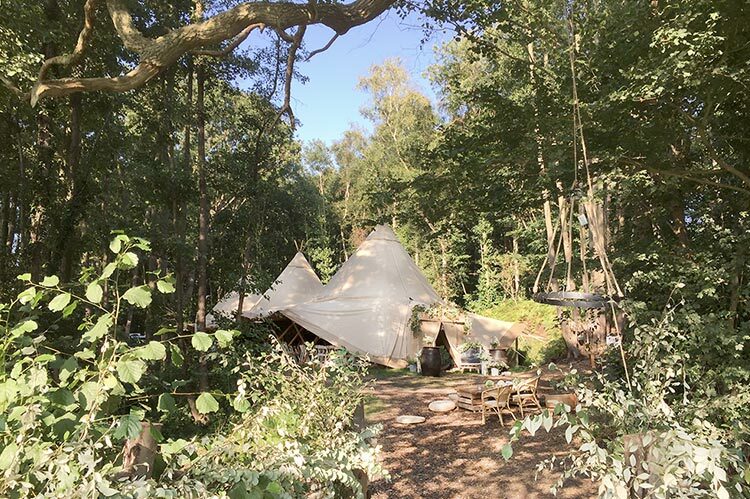 Guests could wander off into the woodland to explore and discover the true wilderness. 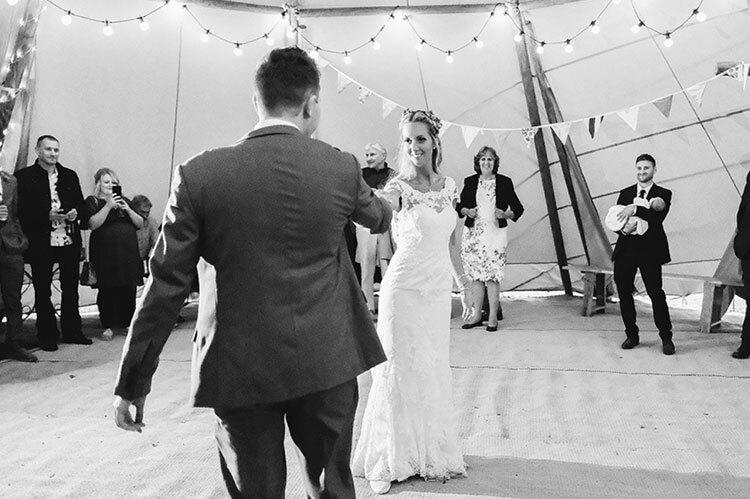 Photography by the incredible Igor Demba.